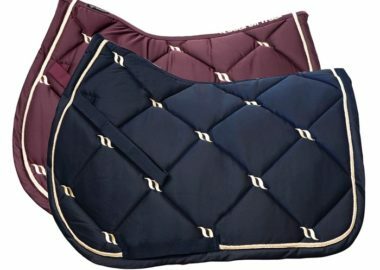 With all of the benefits of our Therapeutic All Purpose Saddle Pad, our Dressage Saddle Pad is breathable and wicks away sweat. 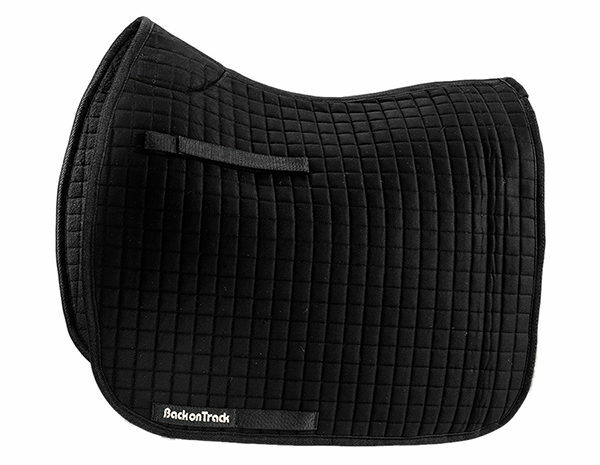 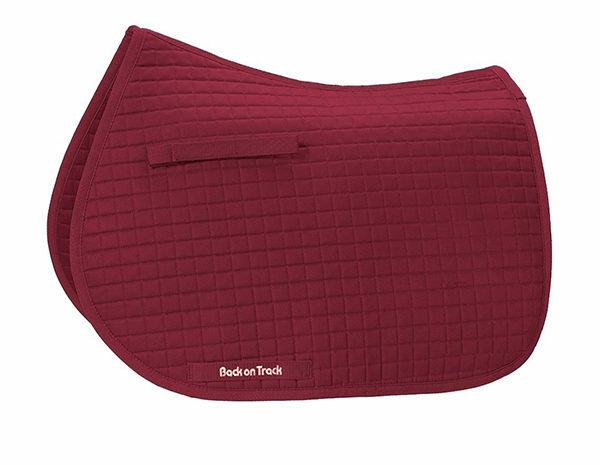 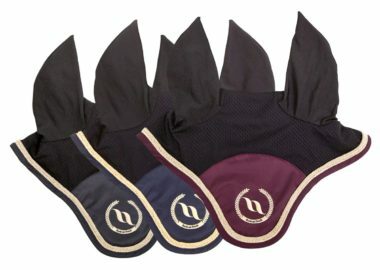 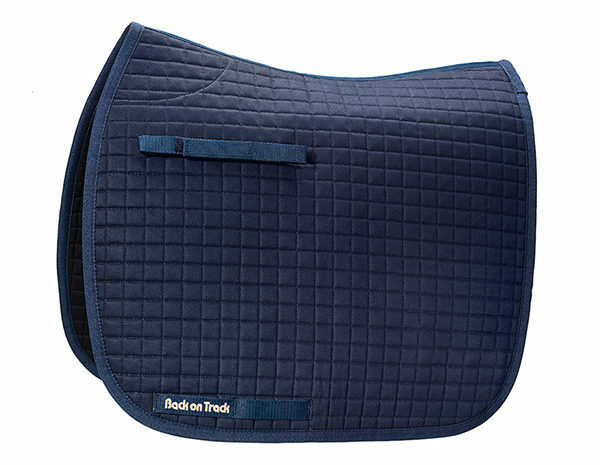 With all of the benefits of our Therapeutic All Purpose Saddle Pad, Back on Track’s Dressage Saddle Pad utilizes our Welltex technology to reflect your horse’s own body energy promoting increased blood flow and helping to keep your horse’s back muscles loose and relaxed. 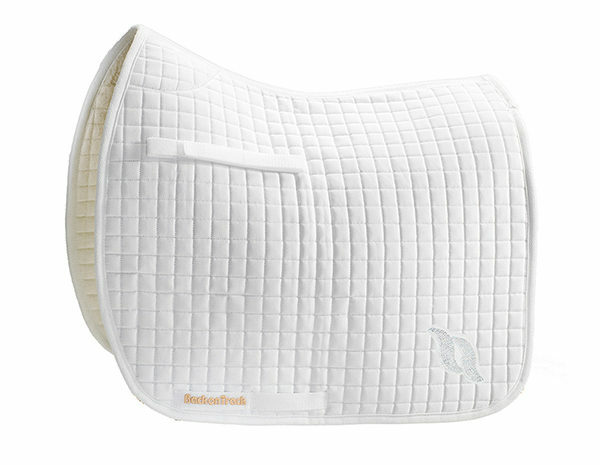 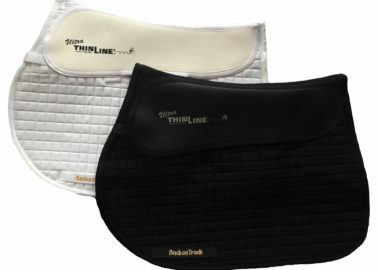 Our Saddle Pads are breathable and wick away sweat. 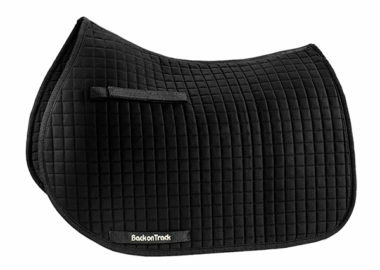 Leveraging Welltex technology, this is an all-purpose saddle pad for everyday riding that is breathable and wicks away sweat.